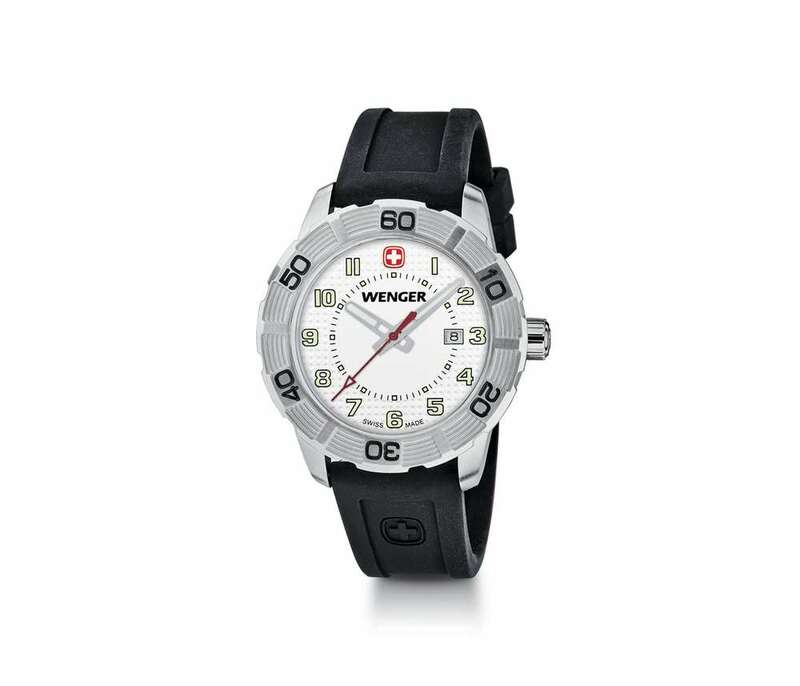 The promotional Wenger Roadster Watch White Dial Black Silicone Strap is water resistant to 100 meters. Wear class on your wrist with this Wenger Roadster White Dial Black Silicone Strap watch. This Wenger watch features a Swiss-made stainless steel case, a unidirectional rotating bezel sapphire coated mineral crystal and luminous hands, numerals & marker. It is water resistant to 100 meters (330 feet). With a variety of imprint options, you can create a custom product decorated with your company logo and marketing message to leave a lasting impression on recipients’ minds. This makes a wonderful giveaway for companies in the sporting goods and outdoors industry.